The issue of domestic violence is currently of real interest in the international medical literature, both epidemiologically and psychopathologically; this violence involves a constellation of social, legal and medical partners. According to the World Health Organization, domestic violence is defined as the existence of violence within a heterosexual or homosexual couple. According to the United Nations Organization (UN), violence against women is defined as “all acts of violence directed against women, and causing or potentially causing physical, sexual or psychological harm or suffering to women, including the threat of such acts, the compulsion or the arbitrary deprivation of liberty, whether in public life or in private life “. Domestic violence has serious health and social consequences. These consequences on women’s health (and their children) are as diverse as they are numerous and unspecific. This violence leads to three major types of medical disorders: traumatic, gynecological and psychological, but they often remain underestimated. In Morocco, the scarcity of information indicates that domestic violence is not recognised as a serious human rights violation. It was only in the 1980’s that the women’s movement broke the silence. RecentlyAmara et al. (2013) introduced a simple protocol for evacuating microbial cells based on using the critical chemical concentration of effective chemical compounds as well as enzymes. Such protocol succeeded to evacuate the microbes from their cytoplasmic content. Amara introduced the idea of preparing the DNA and the protein from microbes using the same concept by using the minimum inhibition concentration of the used chemical compounds in the Sponge-like protocol. Slot lysis is another protocol applied for screening a large number of clones. In this study, a simple new protocol is introduced. The protocol guarantees fast and simple plasmid isolation from E. coli. Those who are interested in isolating plasmids from gram positive strains and full maintain the evacuated cells they can determine the MIC of SDS and NaOH in the lysis buffer. The protocol issimple fast and use only the GET-solution and the SDS-NaOH solution of the alkaline lysis protocol. In 1 ml appendorf tube put 5 μl of the GET-solution and 10 μl of SDS-NaOH solution. During preparing the SDS-NaOH solution it is recommended to prepare it fresh and not put the SDS on NaOH directly but put them in sequence in the water. By the toothpick, touch a colony from the original plate till the colony stack well. Touch genteelly (did not allow full loss of the colony) the new LB medium plate and number the site of the touch with number. Transfer the toothpick which still contains the rest of the touched colony in an appendorf tube which contain both of GET-solution and the SDS-NaOH solution. Incubate for 10 minutes. One could keep the toothpick or allow slight vortex and remove it before the incubation period. Do that for as much as you could for the colonies in the original plates. With the rapid development of human genomics, human structural genome has been completely sequenced accounting for 25,000-30,000 genes. Transcriptomics and proteomics are two important approaches to annotate functions of human genome, or called as functional genomics. 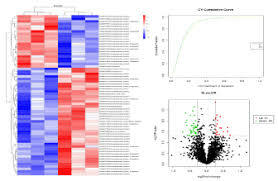 However, Transcriptomics and proteomics analyses of the same human tissues reveal that coefficient of relationship of proteome and transcriptome is very low, and the number of proteins is much more than the number of genes. It is estimated that the number of human proteins reaches up to over 100,000 or even 1,000,000 if variants or isoforms. It clearly demonstrates that one gene corresponds to multiple proteins are considered which is present as “one gene-multiple proteins” model, but not “one gene-one protein” model. Those protein variants or isoforms coded by the same gene are mainly derived from splicing and Post-Translational Modifications (PTMs). 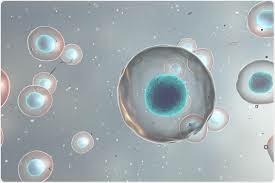 Moreover, PTMs are not controlled by genes, and dynamically alter with different conditions such as different physiological conditions, different pathological conditions and different disease stages, etc. Therefore, a gene-coded protein is not only a protein expression event but also involves many post-transcriptional/translational regulations such as splicing, modifications, translocation, and spatial conformation. Those protein post-transcriptional/translational regulations play very important roles in different physiological and pathological processes. Thus, it emphasizes the scientific importance of investigating post-transcriptional/translational regulations such as splicing, PTMs and spatial conformation in the human proteome. CitrusHuanglongbing is considered to be one of the most devastating diseases threatening citrus production worldwide, and all cultivated citrus are suspceptible to the disease in different degree. The pathogen mainly are vectored by the Asian psyllid it is caused by three species of Gram-negative, α-proteobacteria, Candidatus Liberibacter spp. “Ca. L.asiaticus”, “Ca. L.africanus”, “Ca. L.americanus”. The disease can also be transmitted to healthy trees by grafting of diseased bud wood. Typical symptoms of Huanglongbing disease in leaves include shoot yellowing and blotchy mottled leaves, and in fruits express small, asymmetric, acidic, with many aboorted seeds. The callosedeposition occurs specifically in midribs of leaves. Disordered cambial tissue and massive accumulation of starch in phloem have also been reported. HLB has led to the devastating harm of citrus in more than 40 countries. HLB has not only decreased citrus production but also greatly increased production costs. HLB has reached epidemic proportions in Florida and has caused more than $4 billion in economic losses between 2005 to 2011. Avariety of ways have been adopted to control HLB over the past few decades, for instance, heavy pruning inputting antibiotic agents inhibiting the LdtR gene by an inhibitor and screening the combination of stock and scion. However, the above mentioned techniques used for solving the problem of HLB present some limitations. Management of HLB to enable the continued economic production of citrus is the largest challenge ever faced by the citrus industry, and new control strategies are urgently needed. 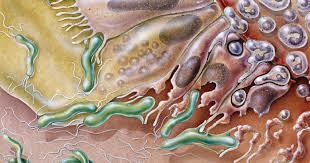 Ulcers are lesions of the skin or mucous membrane characterized by the superficial inflamed dead tissue. Peptic ulcer is the most predominant gastrointestinal disease. Studies showed that gastric ulcer occurs at least 10% of the world population. Peptic ulcer caused by a lack of balance between the gastric aggressive factors and gastric protective factors. Aggressive factors include increased secretion of HCL and pepsin, inadequate dietary habits, free oxygen radicals, consumption of NSAIDs and alcohol, stress and infection of helicobacter pylori. Gastric protective factors include adequate gastric blood flow, secretion of prostaglandins, mucous, nitric oxide, bicarbonates and growth factors. Drugssuch as anticholinergic, histamine H2 receptor antagonists, antacids and proton pump inhibitors are commonly used for treatment of peptic ulcer. Prolong use of these drugs may lead to serious adverse effects like thrombocytopenia, nephrotoxicity, hepatotoxicity and impotence. Due to unpleasant side effects of existing anti-ulcer drugs, there is need of more effective and safe treatment for ulcers. Use of saturated fats cause LDL oxidation in systemic circulation and formation of atherosclerosis and may develop coronary artery disease. 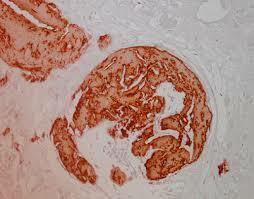 In some cases, a blood clot may totally block the blood supply to the heart muscle, causing heart attack. If a blood vessel to the brain is blocked, usually from a blood clot, an ischemic stroke can result. Hypolipidemic drugs can be used to treat hyperlidemia, CAD, heart arrhythmias and cardiac arrest. Allopathic drugs used to prevent or cure Hyperlipidemia include Statins, Fibrates, niacin and bile acid binding resins. Gemfibrozil increases plasma HDL levels by stimulating their synthesis. Increased transport (turnover) of HDL induced by gemfibrozil may be significant in increasing tissue cholesterol removal in hyperlipidemic patients. Furthermore, Fibrates treatment results in the formation of LDL with a higher affinity for the LDL receptor, which are thus catabolized more rapidly. Nigella sativa or kalonji contains conjugated linoleic acid, thymoquinone, melanthin, nigilline, damascenine, and trans-anethole. Thymoquinone (TQ) extracted from Nigella sativa (kalonji) inhibits iron-dependent microsomal lipid peroxidation. Stimulation of polymorph nuclear leukocytes with thymoquinone works as protector against damaging effects of free redicles generated biochemically in human body. Researchstudy design was single blind placebo-controlled, and was conducted at Jinnah Hospital, Lahore from February 2012 to July 2012. Seventy five hyperlipidemic patients were selected for research work. Written consent was taken from all patients. Specific Performa was designed for the research work. Seventy-five newly diagnosed primary hyperlipidemic patients were selected with age range from 18 to 70 years. Exclusion criteria were hypothyroidism, diabetes mellitus, alcohol addictive patients, peptic ulcer, any gastrointestinal upset, renal impairment, and any hepatic or cardiac problem. Nowadays, TPis a safe surgical procedure indicated for neoplastic and not neoplastic diffuse and otherwise untreatable pancreatic diseases. Main indications are premalignant lesions like pancreatic intraepithelial neoplasia, and intraductal papillary mucinous neoplasm; familial pancreatic cancers (essentially due to mutations of BRCA2, STK11, p16/CDKN2 and PALB2 genes); recurrent, multicentric and locally advanced neuroendocrine tumors; pancreatic fistula; and nesidioblastosis. 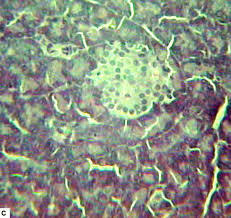 However, the most frequent cause of TP is severe chronic pancreatitis unresponsive to a variety of possible treatments, including dietary regimens, drugs (analgesic like opiates, anti-inflammatory, and neurotropic agents), as well as more or less invasive procedures like chemical neurolysis, Endoscopic Retrograde Cholangiopancreatography (ERCP), spinal cord stimulation or intrathecal drug delivery devices Both endocrine and exocrine functions of the pancreas are fatally lost after total pancreatectomy. As for the former, the intervention induces loss of both, the insulin secreting α-cells but also glucagon secreting α-cells. Loss of α-cells means abrogation of the counter-regulatory system that usually protects from deleterious effects of hypoglycemia, and greatly helps maintenance of normal Blood Glucose (BG) levels under any circumstances. On the non-endocrinepancreatic front, TP patients experience all the symptoms associated with exocrine pancreatic insufficiency: abdominal bloating, cramps after meals, flatulence, fatty or oily and frequent stools, indigestion and weight loss. In fact, the total absence of pancreatic exocrine enzymes leads to malabsorption of almost all nutrients, micronutrients and fat-soluble vitamins. 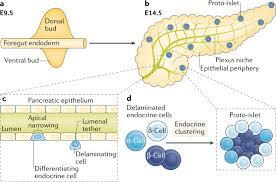 Pancreatic Exocrine Enzyme Replacement Therapy (PERT) is therefore indispensable for control of the malabsorption syndrome. Moreover, impairment of digestive function in these patients makes it hard to manage insulin replacement therapy. Is there Weakness Area in Airway? Austin Journal of Public Health and Epidemiology. Is Long-Term Dienogest Treatment Tolerable in Korea? Is there Correlation between Subclinical Hypothyroidism and Diabetic Nephropathy? Spirituality in Medicine/Surgery: Time for a New Awareness? What’s New in Association between Musculoskeletal Disorders and Quality of Life? Which Criteria to use for the Diagnosis of Behcet’s Disease: International Study Group (ISG) Criteria or International Criteria for Behcet’s Disease (ICBD)? White Spot Lesions: Whose fault it is?